Hello my dear readers! 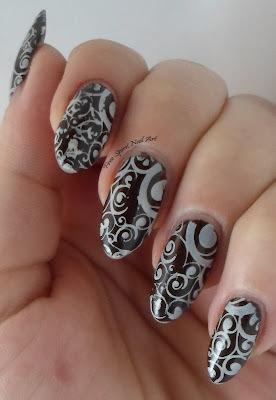 Today I'm sharing with you a quick stamping mani I did. 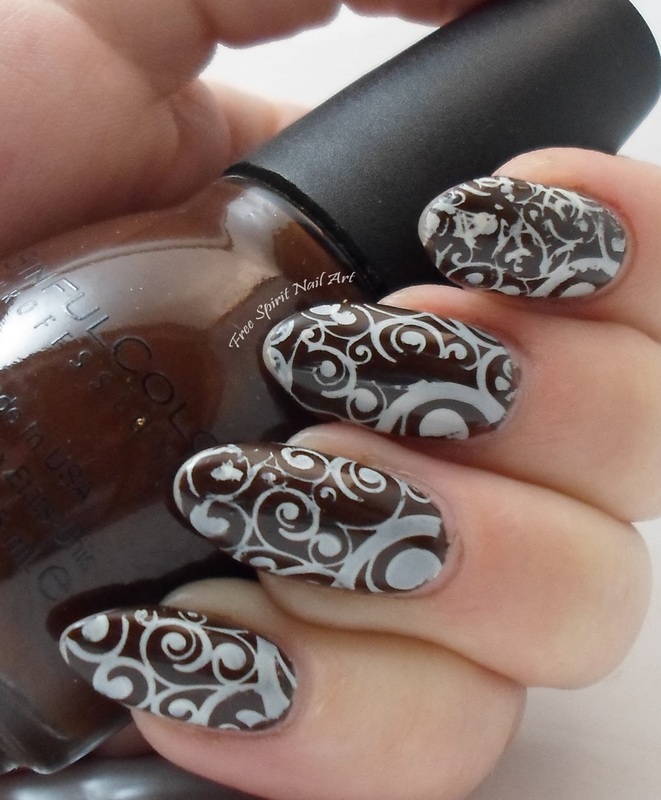 I used Sinful Colors Coffee for the base color and then used Fresh Paint Coconut for the stamping. The image didn't transfer as well as I'd hoped, as you can see there are a few gaps, but I was crunched for time so I just went with it. The stamping plates are from Pueen and I like the stamping plates but I think it's about time I switched to a squishy stamper instead of always relying on the rubber Konad one I normally use. 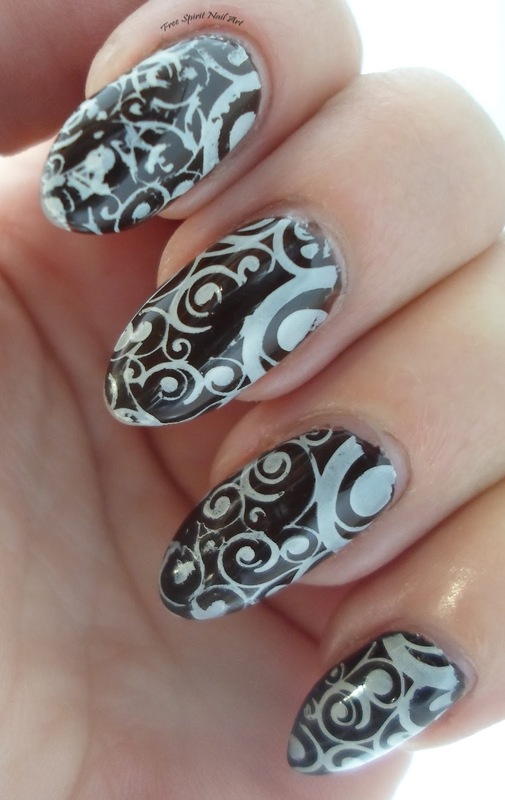 Don't get me wrong, I still like my Konad stamper but I've heard the new squishy stampers transfer better and I want to give them a try. I've looked at a few and think I'm going to go with a Winstonia one. Once it gets here expect a full review! In the mean time stay tuned for more art coming your way! As always please share it if you like it!